I can’t believe it is almost time for the Nordstrom Anniversary Sale! I wait all year for this sale and get so much of my Fall and Winter shopping done while my favorite shoes, handbags, and cosmetics are steeply marked down. If you haven’t shopping the #NSale before, you might be wondering what all the fuss is about. Well, I’m here to cover all the details for you. WHAT IS THE NORDSTROM ANNIVERSARY SALE? For only a couple weeks, Nordstrom offers shoppers brand new arrivals (both summer and fall included) at eye-popping sale prices. When the 25-day sale window closes, all items shoot back up to original prices. It’s a completely unique strategy because, as you know, most retailers only mark down older products. WHEN IS THE NORDSTROM ANNIVERSARY SALE? HOW DO I SHOP EARLY ACCESS? The only way to be eligible to shop Early Access is by having a Nordstrom Credit or Debit Card. You can apply for one HERE. I, personally, have the debit card. Not only does this card provide you with Early Access to the sale, but when you open one you will receive $40 automatically to your purchase! Plus you earn two points per $1 spent, which can earn you Nordstrom Notes – free $ towards your next purchase! WHAT WILL BE ON SALE? You can get a sneak peek of the sale by browsing through the 2018 Nordstrom Anniversary Sale Catalog that just went live! Keep in mind, though, that this is just a handful of what will be included. The sale is HUGE! 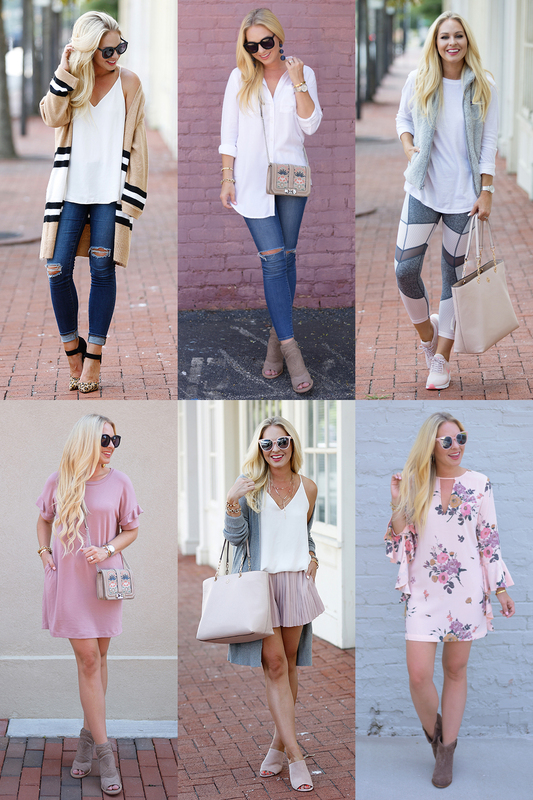 But expect to find late Summer and Fall must-haves like designer denim, soft cardigans, boots and booties, cosmetic bundles, Tory Burch and Rebeca Minkoff handbags, and so much more! As an example, I included a graphic below of my 2017 #NSale purchases. WHAT WILL I BE SHARING ON CORT IN SESSION? 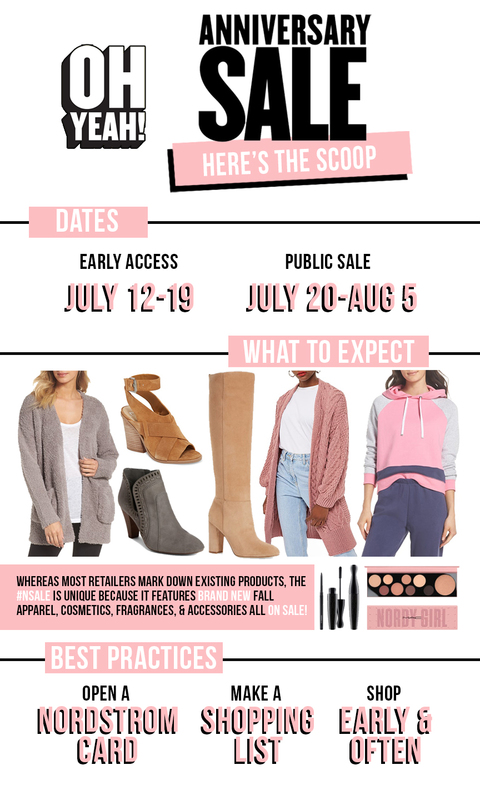 I will be sharing all of my tips and tricks to shopping the sale efficiently, my purchases, how to style various pieces, and what is back in stock. If you look in the navigation, you’ll see that I added a NSALE tab. All of my posts throughout the sale will live there, so be sure to check back here frequently. Happy sale shopping, loves!